At this point you may be wondering who and what the SC.CO. is, and we're happy to tell you! The SC.CO. stands for: Silver Circle Company. 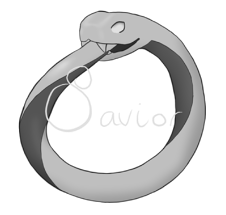 The Silver Circle Company owns and moderates Savior to keep it safe and fun for everyone to play. So if you see a player running around with a 'SC.CO.' moniker, that's one of our team. Some of them are board members, some of them are our security force, and some of them are our friendly public relations representatives. Any and all of them who are marked as 'active' are willing and able to answer any questions you might have. Of course - if you have any complaints about the game - bugs you've noticed, or issues you might have with other players - feel free to let these people know. We're always willing to help you. * zerocool - Board member and executive of SC.CO.